To find many pieces of high-quality leather for your LARP outfit, historical reenactment, theatrical performance, or daily wear, be sure to check out the leather products available from Dragon Forge Leather. We carry a number of these leather items, including leather armour such as leather bracers, leather greaves, leather cuirasses, leather helmets and more. Many of our pieces of medieval armour are crafted from 13-15 oz. armour grade leather for protection. Additionally, we offer a mix of leather accessories like leather belts, leather waist cinchers, leather bottle holders, leather frogs, leather quivers, leather pouches, and many others! All these pieces help to create an authentic period look to your reenactment, though many of them are stylish enough to work with your modern apparel, too. Take a moment to browse through this section, and you will find many excellent leather pieces to choose from. In Azeroth, loyalty is everything. 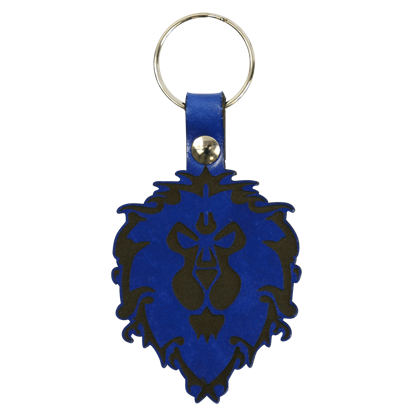 If your loyalty lies with the Alliance, then you can bet that we have the accessory for you, in the form of this Alliance Leather Key Chain. With it, you can easily show the world whose side you are on. Sometimes, when darkness overcomes the light, a hero must rise to fight back the darkness. 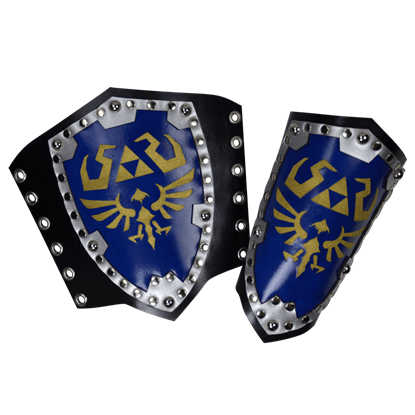 These Deluxe Hero Bracers are a sign of a true hero, featuring all the detailing of a true heros shield, symbolically worn on a their arms. Winter is coming. With winter comes the holiday season! Now, you can celebrate your holiday like a noble at Winterfell Castle! 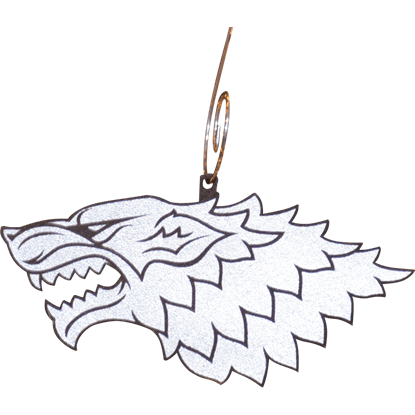 All you have to do is pick up a Dire Wolf Ornament Set and deck the halls like a man or woman of Westeros! 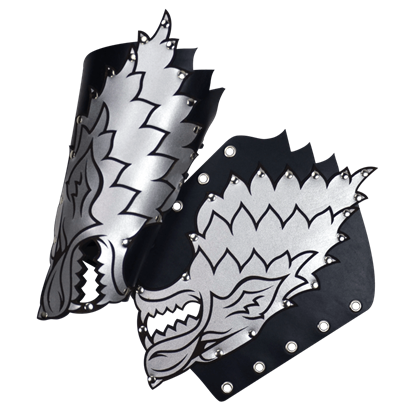 There is no better way to strike fear in the heart of your enemies then to strike with the power of a great wolf, and when you wear these Direwolf Bracers, your opponents will feel like wolves are coming for them with every strike. Imagine finding yourself face to face with not one, but two direwolves, their silver coats glistening in the light. 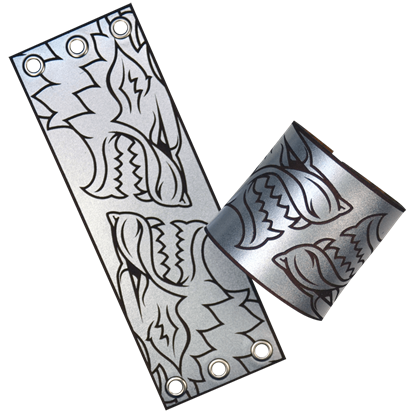 While the actual beasts would be quite ferocious, these Double Direwolf Wrist Cuffs are a bit tamer, at least in part. 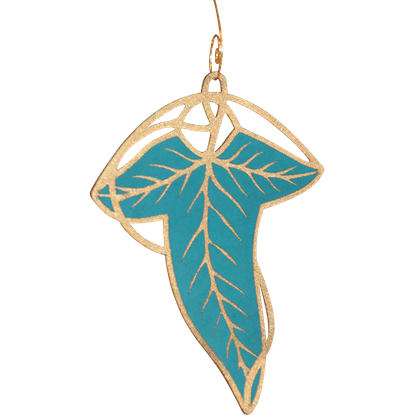 Even the elves have holidays that they love to celebrate, and now, you can decorate and celebrate the coming of the season just like the fae folk of the woods just by adorning your area with this impressive Elven Leaf Ornament Set. When darkness overcomes the light, a hero must rise to fight it back. 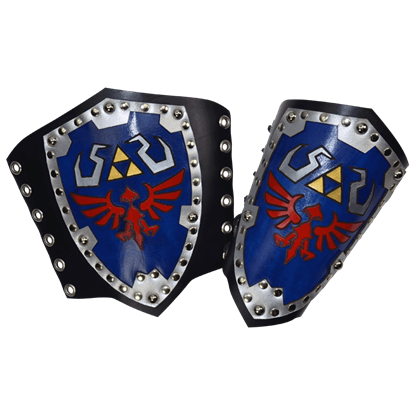 These Hero Bracers are a sign of a true hero, come to fight off evil kings, wicked sorcerers, and cruel bandits, as well as all of their sinister minions. In Azeroth, loyalty is everything. 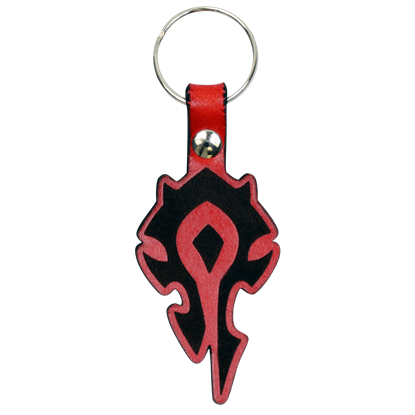 If your loyalty lies with the Horde, then you can bet that we have the accessory for you, in the form of this Horde Leather Key Chain. With it, you can easily show the world whose side you are on. Are you an iron warrior? 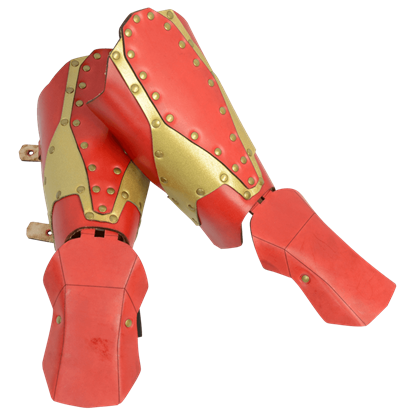 Now you can be, when you armor yourself with these Iron Warrior Arm Bracers. 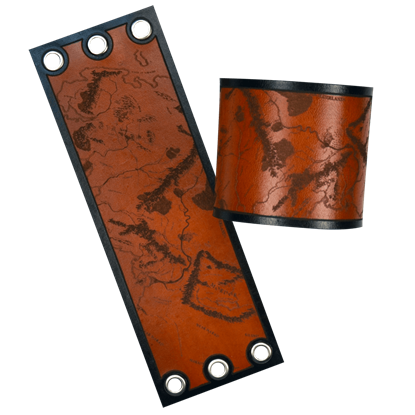 Inspired by a certain billionaire turned superhero, these bracers offer a colorful way to complete your own armored appearance. Should you find yourself in a foreign land, a map is the most helpful thing to have. 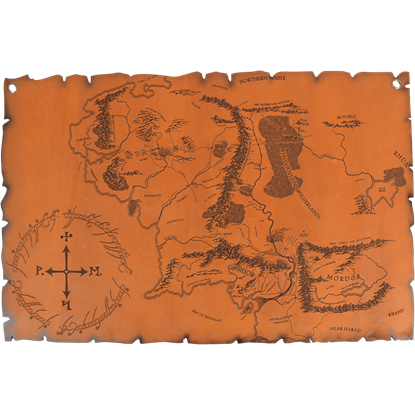 And if you find yourself in the lands of Middle Earth, then this Leather Map of Middle Earth will likely become your most trusted ally, in time. 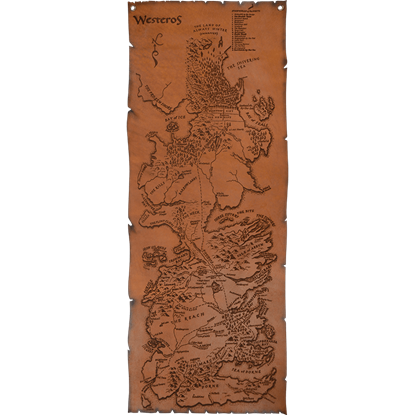 From the Land of Always Winter to Dorne, the entire western continent of the known world is presented on the Leather Map of Westeros. This unique treasure is a delightful find for fans of the George R.R. Martin series, Game of Thrones. The lands of Middle Earth can be a dangerous place, as well as one that is difficult to navigate. That is why you should not begin a journey into this realm unless you are wearing a pair of Map of Middle Earth Wrist Cuffs!